2017 was an incredible year for BrightLogic's ActiveFloor System! We've completed some of the largest permanent installations of our interactive floor to date. In addition to our fixed installations, the ActiveFloor System has been a huge hit in the rental market...our clients are loving it! 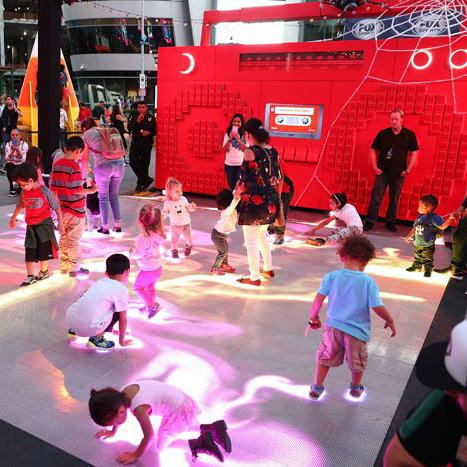 Whether it's a one-day activation, a week-long experiential event, or even an enormous interactive floor that's featured in a commercial, our clients have found unique and innovative ways to use the ActiveFloor. The goal for The Phillip and Patricia Frost Museum of Science was to design and develop a fun and interactive exhibit for their MeLaβ, one of the largest exhibits in their museum. 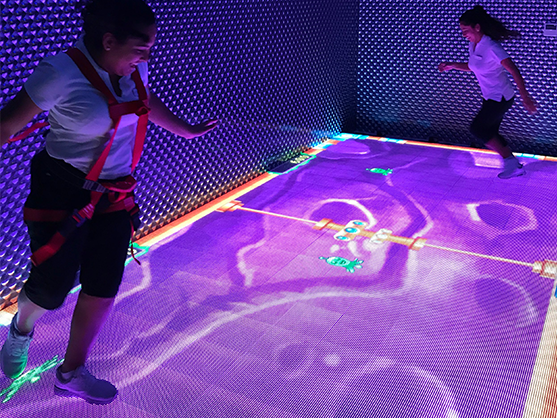 This 12 x 12 panel (20ft x 20ft) ActiveFloor System was integrated into the center of their MeLaβ and paired with an Absen LED Wall that features engaging content extracted right from the ActiveFloor's real-time Analytics. Want to know how we did it? Check out our behind-the-scenes blog post all about our installation process with Frost Museum. Take a look at the completed installation Showcase of Frost Museum's Permanent ActiveFloor System. One of our largest rentals to date, this 420 panel BrightLogic ActiveFloor System was used in a Prudential commercial recorded just outside the city of Chicago. Couples were asked to participate in a little experiment that challenged their thoughts on their retirement savings. The experience these couples had on the ActiveFloor System helped bring awareness to the need to start planning for income that lasts all their years of retirement! Have you seen the commercial yet? If not, check it out now! We often hear clients ask "Can you design the ActiveFloor in any shape?". The answer is yes! In the case of The Grand at Moon Palace, not only was the ActiveFloor circular, but it was installed inside a circular walled room too! "Can you also connect the ActiveFloor System to a curved LED Wall to display high-scores and custom gaming content? "...the answer was "Absolutely"
Not only did The Grand at Moon Palace have some pretty awesome integration setups for their ActiveFloor System...they also had two permanent installations! Why have one ActiveFloor System when you can have two, right!? Learn more about the installations on their Showcase page. And not to be left out! Check out the promotional activation event that created an engaging and memorable try-on experience for Women's Running Shoes by Adidas. This dynamic and playful event brought lots of people into the FinishLine store to explore the whole event. The ActiveFloor brings a whole new meaning to "Dance Floor". BrightLogic created custom content for the Angelina Ballerina branded retail store, where kids dress up and dance on this Super Fun Interactive LED Dance Floor.